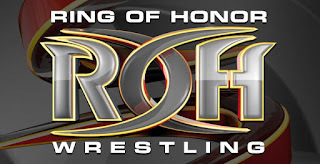 Hello everyone and welcome to another edition of the ROH TV review from yours truly. It's been a while, but sometimes real life gets in the way of wrestling. However, we are back to it and without any further hesitation, let's get down to business. We start the show and head to the ring almost immediately for the first match of the night. The match begins with neither man able to get a clear-cut advantage and both scrambling to maintain control over the other. Both guys trade headlock takeovers before locking arms and ending at a stalemate as neither was able to take the other over. Gresham eventually gets the arm drag before hitting an Enziguri. Lio rolls to the outside of the ring and Gresham follows it up with a moonsault to the outside of the ring. 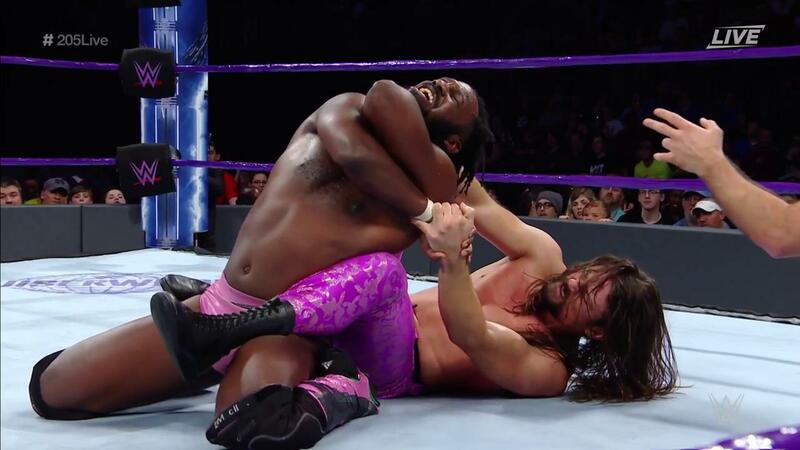 Rush goes back into the ring and hops up onto the top rope and eventually makes his way to the apron where he kicks Gresham off of the apron to the outside. Back in the ring Rush gets a near fall, Lio hits an Enziguri of his own to Gresham while Gresham was on the top rope. Lio goes for a hurricanranna but Gresham rolls through it to get a near fall. Gresham follows that up with a brainbuster for another near fall. Rush recovers and hits a Rush Hour and immediately follows it up with another as the first one didn't look very good and seemed very rushed (pun not intended). Lio Rush climbs to the top rope and hits an elbow drop from the top to pick up the win via pinfall. This match could have been a lot better than it actually was, but some blown spots and redoing said spots hurt the rating a lot. Rush is good but needs to slow down a bit. After the match, the Motor City Machine Guns come into the ring and talk about how good Gresham and Rush both are before taking the spotlight away from them in order to hype their upcoming match at Final Battle as they team with Donovan Dijak to take on the Cabinet. 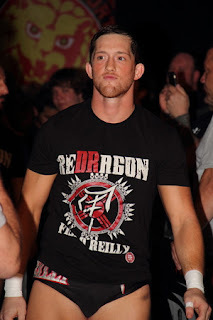 From there, we cut to a video package of Kyle O'Reilly talking about his upcoming world title match at Final Battle against his former Future Shock teammate Adam Cole. 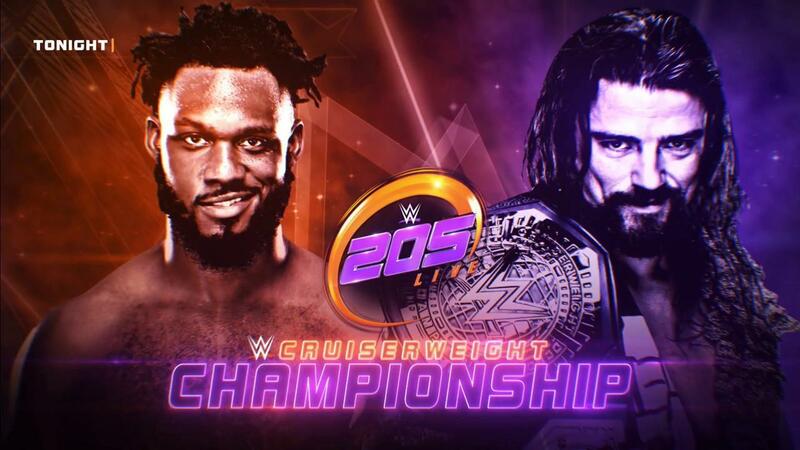 Next, we go into the second match of the night and our main event. The match begins with Frankie and Jay in the ring and they begin with some back and forth action before Frankie hits Jay with a dropkick. 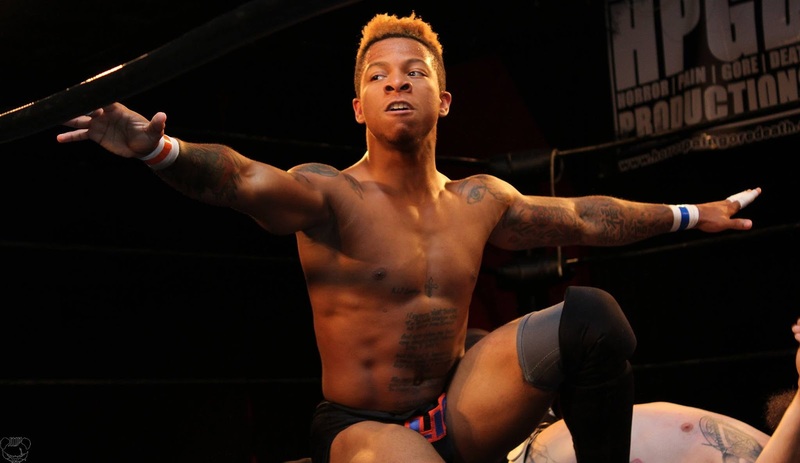 Frankie and Jay both tag out to Christopher and Mark, Mark hits two shoulder blocks on Daniels in succession before Daniels comes back with a trifecta of arm drags. 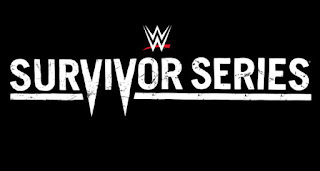 Mark finds himself trapped in the addictions corner which brings in Jay the referee tries to get Jay out of the ring but eventually it breaks down and ends up with all four guys fighting on the outside of the ring. Still on the outside and Jay whips Frankie into the waiting boot of Mark Briscoe before going to a commercial break. Back from break and we are now inside of the ring where the Briscoe's hit Frankie with a double boot in the corner of the ring. Jay runs off of the ropes and hits Frankie with a standing elbow to score a near fall. The Addiction comes back with a combination of offensive maneuvers on Jay before Frankie caps off the sequence with a double stomp to Jay's back as Jay was kneeling in the ring. Daniels hits a Moonsault and Kazarian hits a leg drop on Mark but Jay runs in to break up the resulting pinfall attempt before we head to another break. Back from commercial and The Addiction once again has the advantage. Jay Briscoe finds himself caught in The Addiction's corner but he's able to roll all the way to the opposite side of the ring in order to tag in his waiting brother Mark. Jay Briscoe hits a Neck breaker on Kazarian before getting hit with a stomp by Daniels. Daniels follows it up by diving to the outside of the ring to nail Mark Briscoe with a suicide dive. Mark climbs back on the apron and eventually gets tagged into the match; he hits Kazarian with a clothesline and follows it up with a Uranagi for a near fall. The Briscoe's set up for a Doomsday Device but Frankie is able to catch Jay in mid air with a powerslam for a near fall in a really cool spot. The match ends when Jay hits Daniels with a Jay Driller and Mark hits Frankie with a Froggy Bow to pick up the win via pinfall. Really good match here, though it's not a match you should go out of your way to see, but if you have some time I would definitely recommend checking it out. 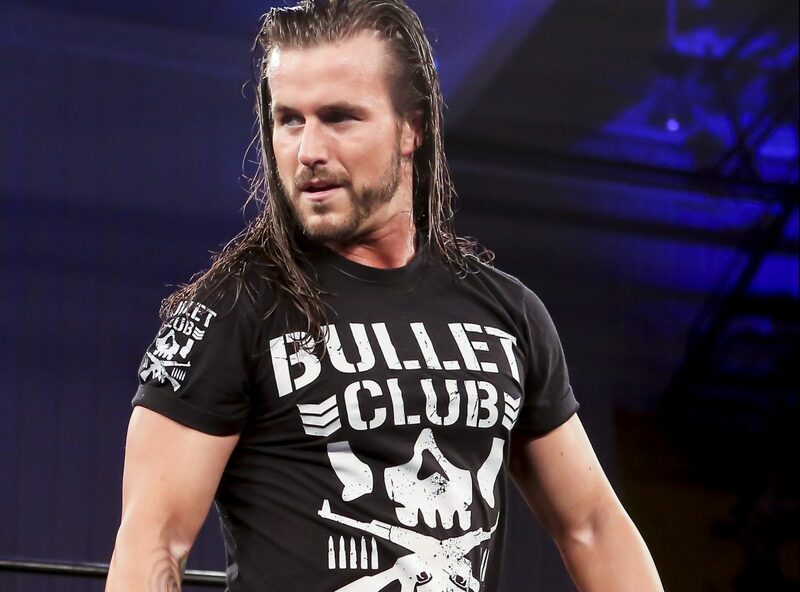 Finally, we are treated to story time with Adam Cole Bay Bay, this was a pretaped promo from Cole where he said that last year after his match with Kyle O'Reilly that he would do anything he could to in order to recapture the World Title which he was able to do. He also said that O'Reilly would never get a world title shot and he was right up until now. Cole goes on to say that after he beats O'Reilly, O'Reilly will be nothing and he will have to admit that he is a loser, which brings an end to the show for the week. A two match show which is welcomed by me and we had two great promos from both Kyle O'Reilly and Adam Cole hyping up their match at Final Battle which takes place on December 2nd so this was technically the Go Home Show for Final Battle which takes place on Friday Night. That however will do it for me and another ROH TV review. I hope you'll check out this week's show, as it's some great stuff and an easy way to kill an hour. 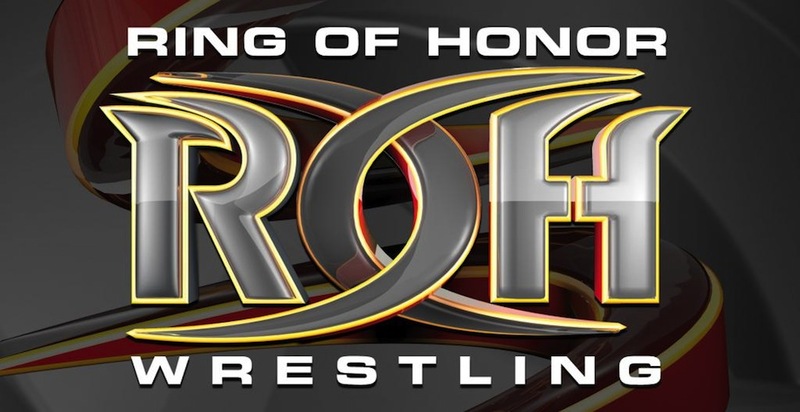 I'll see you next time for another look at ROH TV. 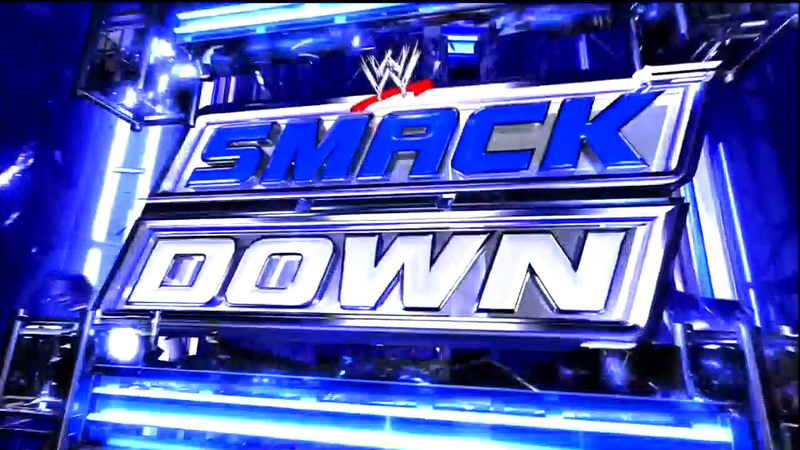 The WWE has had Smackdown on since 1999, for a whopping 900 plus episodes in that 17 year period. Regardless, the WWE has seen some good years for Smackdown, as well as some bad ones, but today we are here to talk about the best years in Smackdown history and why. Let's get into it, shall we? -I want to put 2016 on here, since it has been a consistent year for Smackdown since the brand extension, but I just can't yet. The year isn't even over yet. 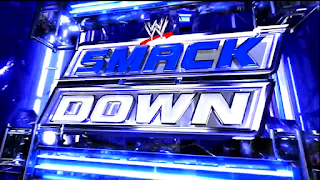 However, once could not deny 2011 as an overall year, as the WWE attempted to make strides to improve Smackdown as a whole, and though they got off to a weak start leading into Wrestlemania 27, I was still mostly intrigued. There was a lot of tension in the Edge vs Del Rio feud, which seemed flat at first, but eventually picked up when it needed to. Rey Mysterio vs Cody Rhodes was an early highlight as that feud served to help push Cody over the edge and give him a huge year, that would culminate in him bringing back the traditional Intercontinental Championship belt. I enjoyed Dolph Ziggler during this period as well, as he seemed to be putting on great matches regularly in what was his prime IMO. The most significant feud of 2011? Christian vs Randy Orton. Shortly after Edge retired, Christian took the title instead of Del Rio, as he would finally win the big one and what followed was the best Smackdown feud of the year between he and Orton. 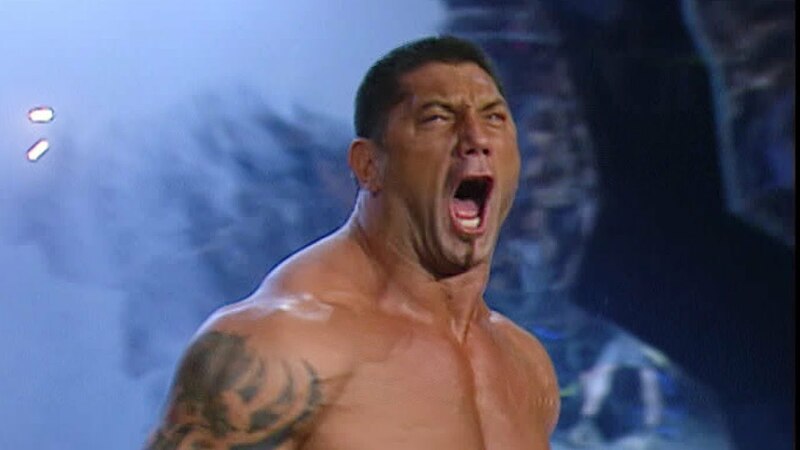 Aside from that, we also got Mark Henry and his Hall of Pain, Sheamus turning face oddly enough, Cody Rhodes becoming a serious force, the rebranding of Wade Barrett, and the becoming of Daniel Bryan. This year is underrated in Smackdown history and one of the best from a feud and rising stats perspective. 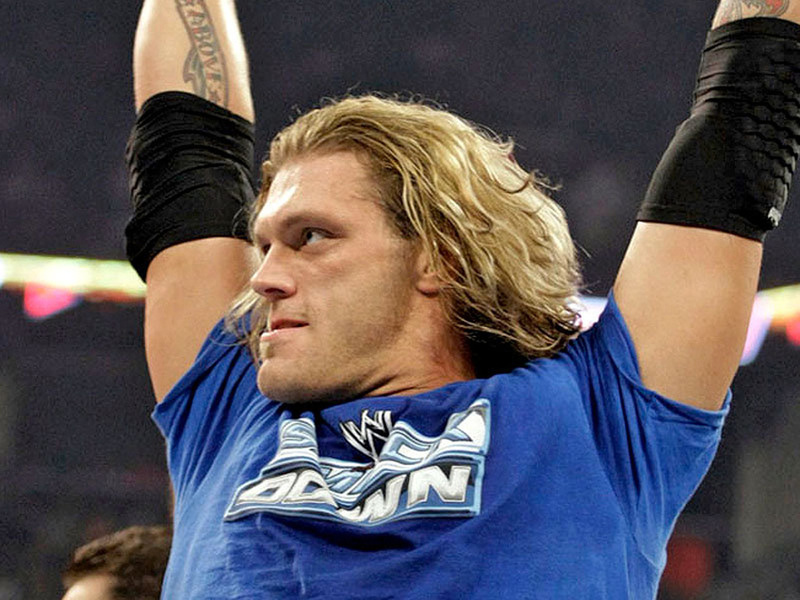 -This may come as a shocker, but 2008 was actually a pretty good year for Smackdown, though RAW truly lacked. Instead of the Cena vs Orton vs Triple H nonsense that seemingly dominated RAW for so long, the Smackdown was bristling with a lot of upcoming stars and guys that were right there on the cusp. 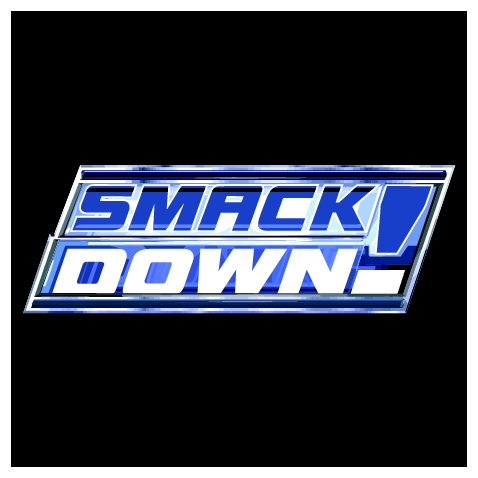 From the ending and finalization of the great MVP vs Matt Hardy feud to the Edge vs Undertaker feud that led us throughout the year, Smackdown was rolling. 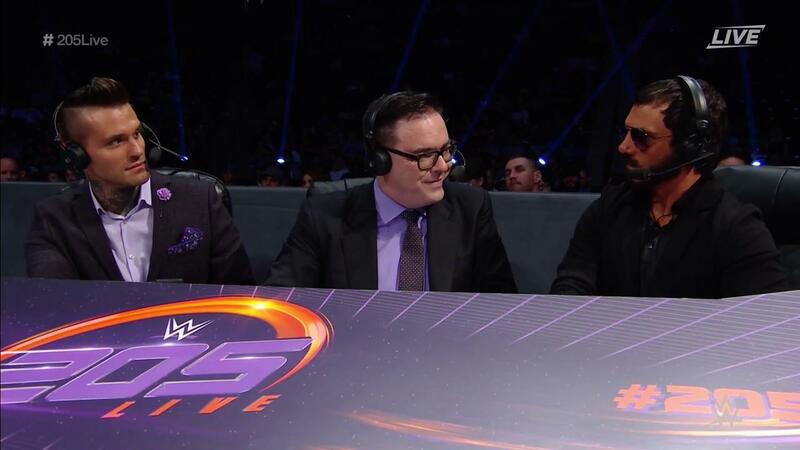 After the trade of Batista to RAW, we got to see Mr. Kennedy come over to Smackdown, Triple H grace the blue brand for a while, and Jeff Hardy staked his claim as a top guy in the company as well. We were treated to quite a few amazing main events during this year, like Triple H vs Undertaker, Ric Flair and Shawn Michaels vs Edge, Chavo Guerrero and Hawkins & Ryder, Triple H vs Shelton Benjamin, a triple threat with HHH, Matt Hardy and Chris Jericho, and much more. The WWE was trying to push the focus of the show to the upcoming guys while still keeping their veterans strong. If only they took the chances on guys like MVP, Mr. Kennedy, and a few others, the following years after would have been much better. 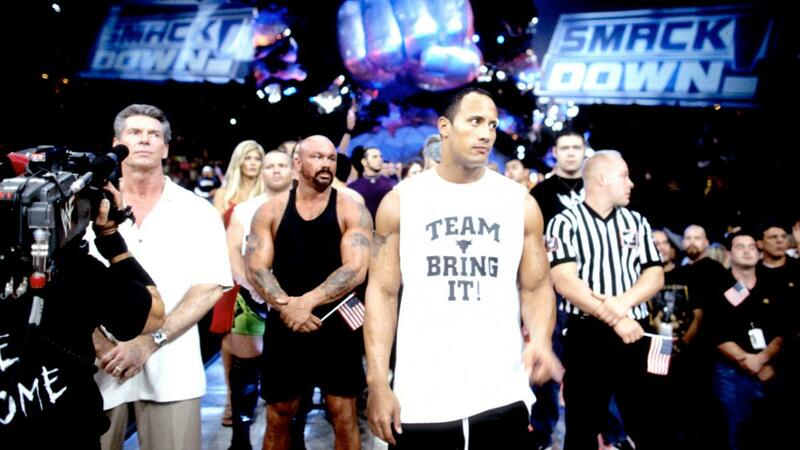 Still, this was a truly good year for WWE on the Smackdown side. 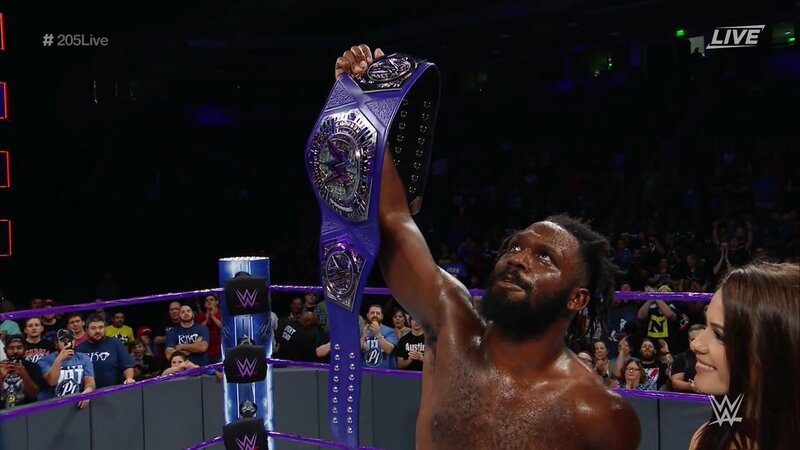 -This is the most underrated year in wrestling history to me and it's not even close. 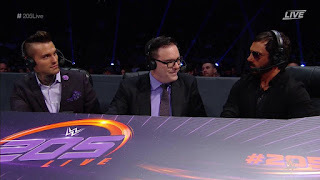 WWE suffered with the botched storyline for the Alliance angle, but I'll never take away from the matches, the action, and the all around fun feel that Smackdown had during this time. 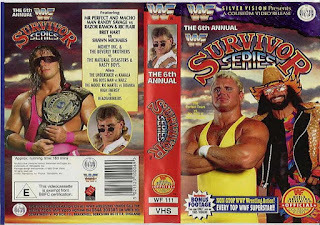 There was no brand extension yet, in fact, the rosters were hugely over, but I was partial to Smackdown due to the creative ways they tried to entertain us. The beginning of the year saw some great main events like The Rock, Undertaker and Stone Cold vs Kane, Kurt Angle and Rikishi, a Fatal four way between Taker, Rock, Kane, and Rikishi to determine the 30th entrant in the Rumble, another Triple H vs The Rock match, and a triple threat match between Rock, Angle, and HHH. 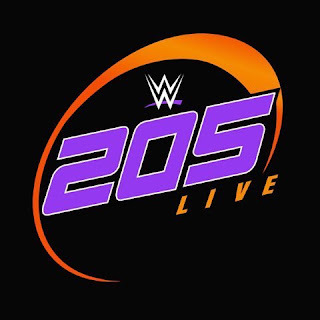 As the year rolled on, we saw Austin turn heel and then we got some of the best matches of the year during this period on Smackdown, from Austin vs Benoit to Austin vs Angle to Austin vs RVD, and more. Who could forget that TLC 3 took place here with 4 teams going at it for the Tag Team Titles as Benoit and Jericho bested The Hardy Boyz, Edge & Christian, and The Dudleys. Overall, 2001 had so many great moments and matches from Austin and Angle backstage vying for Vince and his attention to Booker T and Austin in the Supermarket to the old Stone Cold hitting Vince with a guitar, this year was pure gold and I almost put it higher than my no. 2 choice. 2001 is a truly slept on and legendary year. -This year was honestly amazing to witness from top to bottom. 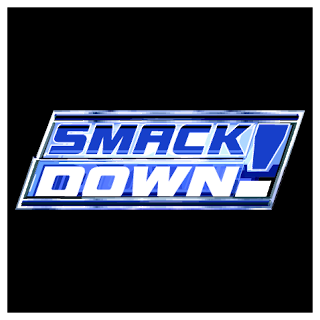 It had some dry spots near the end, but for majority of the year, Smackdown was covered by the Smackdown six and Brock Lesnar. 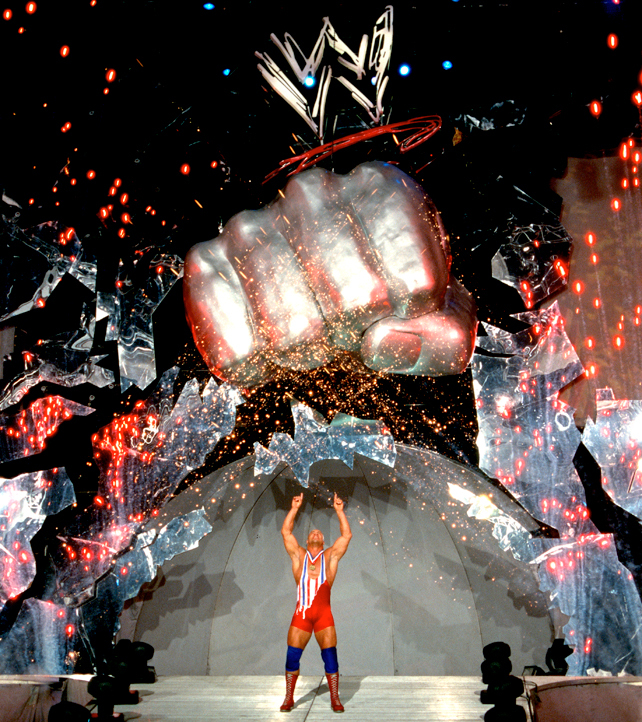 I'm more partial to the beginning of the year, as I feel that whole 3-4 period before Wrestlemania 19 is the best part of the year from a wrestling standpoint, as we got to see amazing matches like Rey Mysterio vs Kurt Angle, Team Angle vs Los Guerreros, Shelton Benjamin vs Chris Benoit, Kurt Angle vs Chris Benoit, and more. 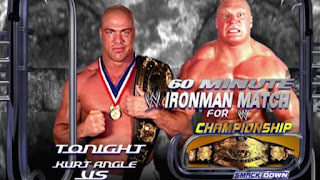 There was also a very very good story in place with Brock vs Angle that would continue all year. 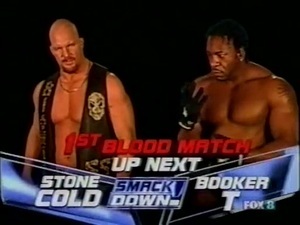 It was the feud of the year for Smackdown, and it gave us one of the greatest matches in Smackdown history with their Ironman Match on TV in September 2003. We also got to see Eddie Guerrero feud with John Cena, who was on the rise as a rapping heel, and he was a highlight on the year too. The most slept on match to me comes from the end of the year as Benoit and Lesnar put on a very solid match against each other. The reason why this year is as high as it is all comes from the match quality. It was absolutely a superb year with in ring work. 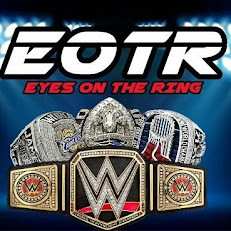 -The greatest year in wrestling history from an in ring standpoint and the best year for Smackdown in a major way. Now, the reason why this year is so revered is because Smackdown was flowing smoothly ALL year long, even before the brand extension happened. The year started with Vince saying he wanted to bring back the NWO on Smackdown, Austin stopping Flair from signing over the company to Vince, Booker vs Austin, the arrival of the NWO, The Rock vs Kevin Nash, The Rock vs Scott Hall, and a dope tag team match of Ric Flair and Triple H vs Vince and Kurt Angle. 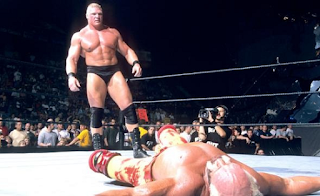 Smackdown after the Brand Extension would see the return of Hulk Hogan to the yellow and red, the rising of Edge as a singles competitor, the arrival of Rey Mysterio, the cementing of Benoit and Angle as solid guys, and of course, the crowning of Brock Lesnar as the guy. 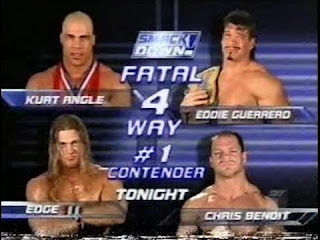 We saw tag matches like Edge and The Rock vs Chris Benoit and Eddie Guerrero, crazy moments like Brock beating down Hulk Hogan, but once we hit September, Smackdown knocked it out the park match wise, EVERY SINGLE WEEK. Angle vs Rey vs Benoit, Angle vs Rey, Eddie vs Edge, Angle and Benoit vs Eddie and Chavo, and my personal favorite Smackdown match ever, the fatal four way between Benoit, Angle, Edge, and Eddie. 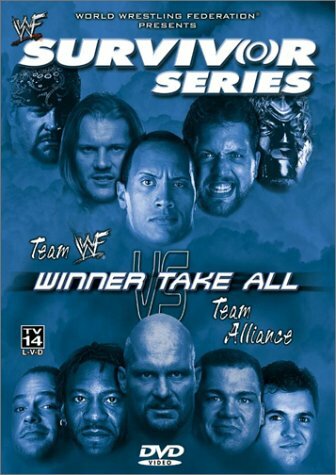 Those matches are all 4 stars and better, and make 2002 easily the best year in Smackdown history. WWE barely missed with Smackdown in 2002. They could almost do no wrong. Survivor Series has long been about the team vs team elimination concept. 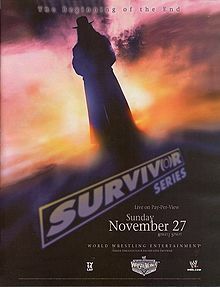 I think we often overlook some gems this PPV has produced as far as world championship matches. Here is some of the best in the event’s history. -This match was history making and ground breaking. WWE was always considered the land of the giants. Larger than life wrestlers such as Hogan, Warrior etc were at the forefront punching and kicking opponents while the smaller guys who provided scientific matches. As Hogan began contemplating retirement, Vince needed someone to be his flag bearer. Vince went with the smaller Bret Hart, who had gained the fans support over the years. Bret was something new and faced any and everyone for the title. Shawn Michaels was also climbing the ladder and was arguably the second biggest heel in the company. This match delivers on so many levels and is arguably their best encounter. 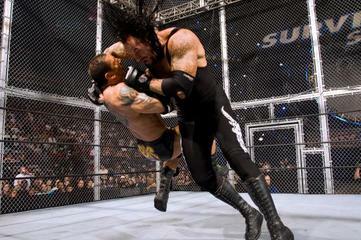 -The very first Elimination Chamber match and quite possibly the best. 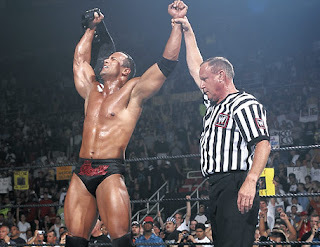 This match was also history making not only because it was the first match of its kind, but because Shawn Michaels made his return to the ring on a championship match. -This was THE feud in 2007. This was one of the best rivalries of all time to me. The only way to end it was the Cell. After 2 indecisive matches and a win for each man, the only way to finally put an end to it was to put them in Satan's playground. This was one of the better Cell matches in history and while the finish wasn't the best, these two put on a masterful performance. -This was a changing on the guard. WWE was trying to transition from the Hulk Hogan era (by adding Ric Flair and creating new young stars) and Undertaker helped with that transition. 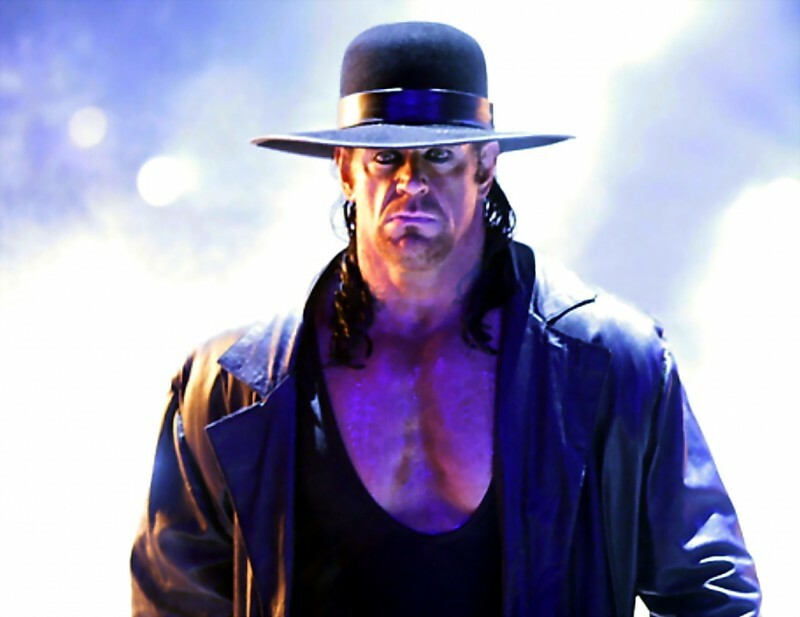 After a year of being in WWF, Undertaker was getting a title shot against the industry’s biggest star on a major PPV. Although many expected Hogan to bury the Undertaker, something magical happened…. The Undertaker won the WWE title! While this was not a technical masterpiece and was more of a building block to try to build the Hogan vs Flair Mania match that never was, it still represented Vince believing in The Undertaker and not being afraid to think outside the box.... for a moment. -This was Diesel’s best performance in WWE. Bret Hart played the role of underdog in peril perfectly. 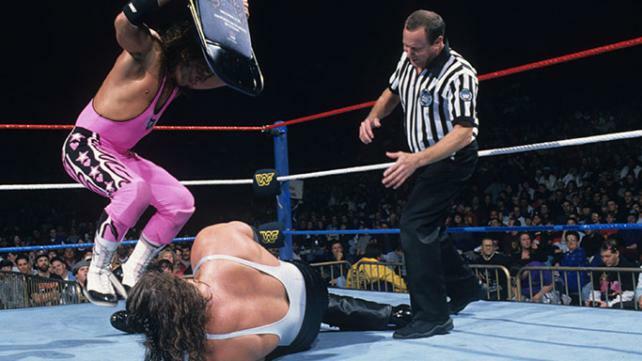 Even though Diesel was a tweener at the time and Hart was the full fledge babyface, Diesel’s heel came out in this match perfectly, and this was a methodical hard hitting fight and Bret proved he could wrestle in any style of match you want. -This match was intriguing because Orton looked simply unbeatable at the time. Shawn’s superkick being banned not only added more heat to Orton’s character, but made for an intriguing match because it forced HBK to think outside of the box. Many times during they match it looked as if HBK would win the title for the first time without the use of his superkick, but Orton being as quick as he is, hit the #RKOOuttaNowhere and won the match. It's a shame because no one sells the superkick better than Orton, but this was another great Survivor Series Championship Match.